bag and make an original, eco-friendly impression! JuCo a combination of jute and cotton. Bags and pouches printed or unprinted, nice to give and to get! Ecojute has an extension of the range, which is why we have changed the brand name and our ecological products are now called Eco-Products. 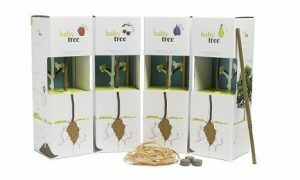 A sustainable and educational promotional gift in a Do-It-Yourself package including bamboo stick, nutrition tablet, binder and birth certificate. With a little care and love the tree can grow into a good producing fruit tree. A beautiful symbol for a growing relationship where you can reap the benefits. 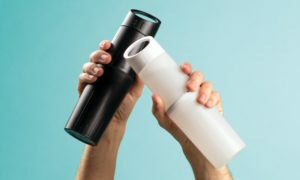 BE O Bottle, a sustainable water bottle with a mission! BE O Bottle drinking water bottles are the perfect way to communicate your brand. Personalize your BE O Bottle with a beautiful design and turn this bottle into a sustainable business card. The BE O Bottle is available in black and white. 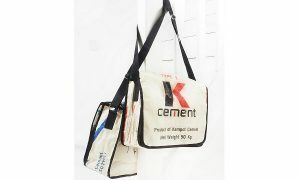 A cool, durable jute bag printed with your logo will draw everyone’s attention. 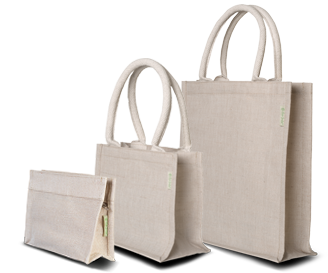 Printed jute bags are the ideal promotional gift because the bags will be reused very often. You are also responsible because the bags are made of durable material and are produced in a fair way! Trendy and sustainable Fair Trade products that will attract attention! 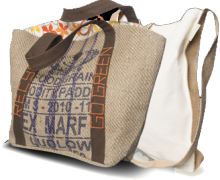 The Fair Trade bags are the ideal promotional gift because the bags will often be reused. 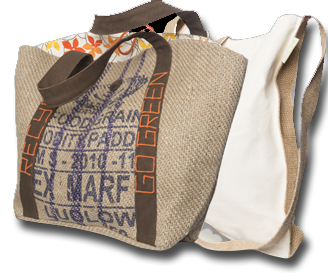 You are also responsible because the bags are made of sustainable material and are produced in a fair way! Correctbook; erasable and reusable notebooks. Choose a color and have your logo printed on the cover. With a full color printed cover entirely in own color and design. Correctbook, a mission against illiteracy. There are 1 billion people in the world who can not read and write. Correctbook donates part of the turnover to combat illiteracy. The WakaWaka Power + and the Waka Waka Light are durable, beautiful and handy, not only for you but also for someone without electricity supply in the world: SHARE THE SUN! 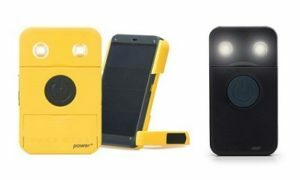 Buy a WakaWaka and ‘share the sun’ with people who do not have access to electricity. Have the WakaWaka Power + printed with a logo, company name or (advertising) slogan.